It isn't very often that the Northern Lights make it down to Twin Falls, but it does happen. 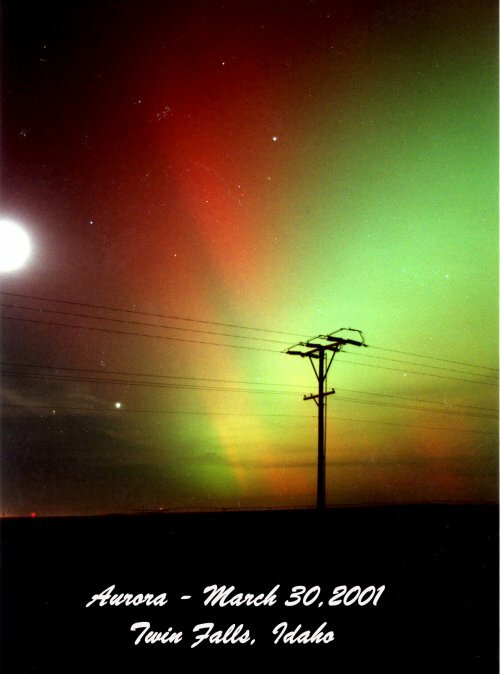 In March of 2001, Forrest E. Ray captured a few amazing shots of the Twin Falls sky full of light. Even last year in October, we got a bit excited because there was a small chance (that quickly went away) of seeing some of the Aurora Borealis. Honestly, it never ceases to amaze me that the Northern Lights are real. I don't understand most science stuff, so when I see pictures and video like the one above I'm prone to believe it is special effects in a Michael Bay movie and not something that happens in real life.